Happy Birthday To The University Of California! Today, 23 March 2018, is the day upon which the University of California, Berkeley celebrates its 150th anniversary, its annual Charter Day. The University has accomplished many great things in its 15 decade life span; it has seen triumphs and tragedies, upheavals and euphorias. By any measure, it is one of the great institutions of learning and discovery in the world, and it is fitting to pay tribute to its long, eventful, and impactful existence. Though the hopes were high in 1849, it would take almost two decades for the state to finally realize its aspirations for a university. The United States Congress granted the state 46,000 acres of public lands to endow the university in 1853, and with the passage of the Morrill Act in 1862, a further land endowment of 150,000 acres was made available. But still no university was created. During this period, the private College of California had been founded in Oakland, across the bay from San Francisco, and in 1866, the California legislature established an Agriculture, Mining, and Mechanical Arts College. This state college had funding, but no campus; the College of California had a campus but no funds. Seeing an opportunity, Henry Durant, president of the College of California, proposed that the college give its facilities to the state on the condition that a proper university be established, merging the faculties of the College of California and the AM&M College. This proposal was accepted, and on 23 March 1868, the University of California was formally established and chartered. The four first Acts already past. The poem’s author was the scholar and philosopher George Berkeley (always pronounced “BARK-lee”) Bishop of Cloyne, Ireland in the early 18th century. Bishop Berkeley felt that America had great potential for furthering education and achievement; his notions resonated with the founders of the College of California, and they decided to name the surrounding town in honor of Bishop Berkeley. The University of California moved to the Berkeley campus in 1873, after two large buildings had been completed. The first graduation class of the University of California was rather small; they bore the collective nickname “The Twelve Apostles.” From that small class, however, came a future governor of California, two future mayors, a future congressman, and three future Regents of the UC. It was an auspicious start. That first class was all male, but in 1870, the university committed to accepting women as well, and from that time on was a co-educational institution. During the 1870s, the UC experienced many difficulties as the institution became a “political football,” with opposing factions fighting over the university for political influence, or hurling charges of mismanagement at the school for political aims. In the state’s constitutional convention of 1878, the UC was given an unprecedented degree of independence. The University of California enjoys a unique position among public universities, as it is not merely a function of the state government, but an autonomous, almost equal fourth branch of state government. The idea was that the UC would be dependent upon the legislature for some funds, but otherwise insulated from political infighting. This noble ideal has not always been as successful as the originators had hoped, but it has produced a vigorous, dynamic, and truly independent university. From the outset, California aimed to build a truly great university. By the 1870s, foreign students began to enroll in the UC. Eastern academics attracted by favorable salaries and a pleasant climate began taking professorships at the university. Professors from universities in the American South left institutions still devastated by the Civil War and came to California. By the turn of the 20th Century, the University of California had built an international reputation. In 1899, Benjamin Ide Wheeler was appointed president of the University of California. During Wheeler’s twenty-year tenure, the school grew from 2,600 students to over 12,000, and from fewer than 200 faculty to nearly 700. Wheeler was an adept fund raiser, and he attracted many private benefactors to sponsor the growth of the campus, beginning a long tradition of private support for a public university. The Berkeley campus experienced a building boom which gave the campus its stunning “classical core” designed by America’s foremost proponent of Beaux Arts architecture, John Galen Howard. Under Wheeler’s strong leadership, students were given a functional self-government. The University expanded during Wheeler’s time with two “farms” (agricultural research stations) at Davis and at Riverside, a medical school in San Francisco and an oceanographic research facility at San Diego. To better serve the southern region of the state, an extension campus was founded in Los Angeles. All of these facilities later became full campuses in what is today the ten campus system of the University of California. Wheeler assembled a faculty of the very first rate. By 1906, the University of California was accounted one of the “Big Six” universities in the United States, along with Harvard, Yale, Columbia, Chicago, and Michigan. After Wheeler resigned in 1919, the comptroller of the university, Robert Gordon Sproul, had effective command of the campus for ten years prior to being appointed president in 1930. Sproul served for an unheard of 28 years as president of the University. During Sproul’s time in office, the University grew even larger. The university extension in Los Angeles became UCLA. Additional campuses were added. Enrollment grew dramatically, from about 30,000 statewide in 1930 to almost 80,000 in 1958 when Sproul retired. The university’s reputation grew as well. By the 1950s, it was plain that the University of California was much more than its flagship campus in Berkeley. In response to growing demand for access to the University, the Regents restructured the campuses, ultimately leading to the 10-campus system which exists today. At one time, “The University of California” inevitably described the institution whose campus was in Berkeley. 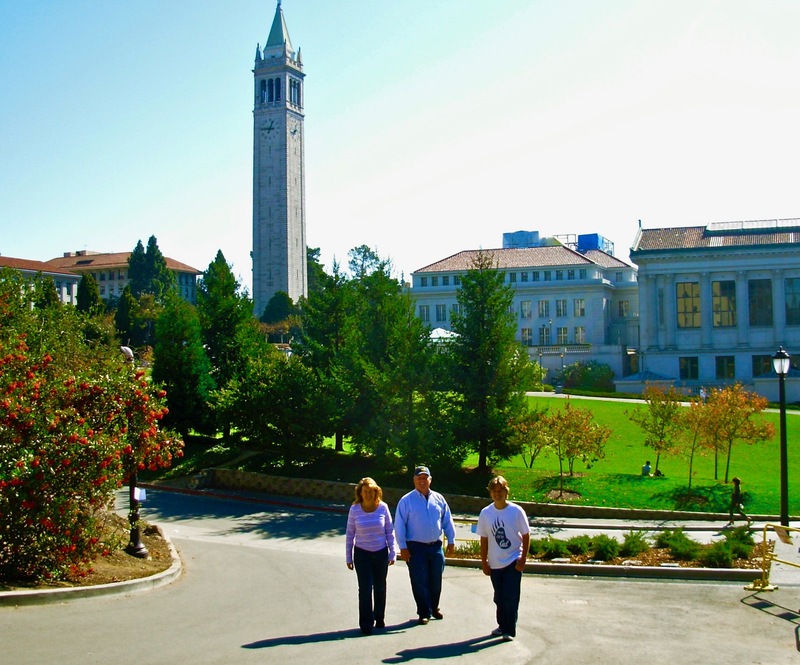 This campus was also called, in the fashion of so many state universities, simply “California,” or “Cal.” The rise of this multi-campus university, or “multiversity,” to use former President Emeritus Clark Kerr’s terminology, led to the use “Berkeley” to specifically describe the Berkeley campus. 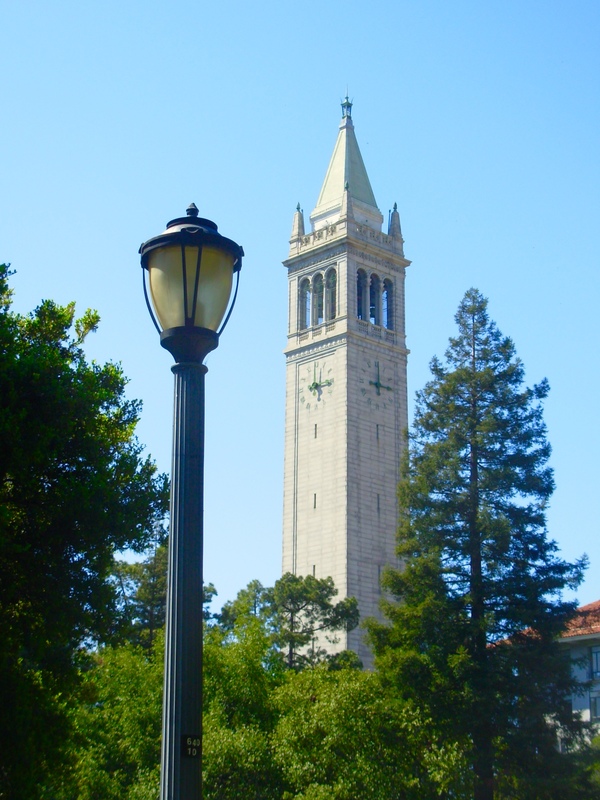 It is as “Berkeley” that the University of California’s oldest campus is most commonly known today when discussing its academics (or its politics.) Sports fans, however, recognize that “California,” or “Cal” has long been an outstanding name in athletics. Interestingly enough, many people who are well aware of the athletic achievements of “Cal,” have no idea that “Berkeley” has a football team! California athletics have many notable achievements, including five undefeated seasons of football in the 1920s under Coach Andy Smith. (The outstanding record of 50 straight games without a loss stood for many years and was significantly “bested” – by 5 – in 2003 by Ohio’s Mount Union College.) Cal also has the distinction of playing some of the most famous (or infamous) plays in college football history, notably “Wrong-way” Roy Riegels’ reverse run against Georgia Tech in the 1929 Rose Bowl, and 1982’s “Miracle of Strawberry Canyon,” better known as “The Play,” which featured 5 lateral passes on the final play of the Cal Stanfurd Big Game, resulting in a 25-20 Cal victory. Football is by no means Cal’s only sport, though space does not permit the listing of all of Cal’s sporting accomplishments here. In the 1960s, the Berkeley campus attracted national attention because of its significant student activism. In the era of the Civil Rights struggle across the country, a large number of students at the University of California felt that their education had to serve a purpose more meaningful than the simple pursuit of a good job. The campus’s conflicts and upheavals in the 1960s merit a discussion of far more detail than this essay permits, but a few key points should be noted: the beginning of the student demonstrations and campus unrest was grounded in the most uncontroversial of motives: Free Speech. This tradition meant that the main entrance to campus was typically the gathering place for political expression of every stripe. A cartoon from 1924 shows every sort of cause from the Irish Revolution to “The Jews Harp Club” being promoted at Sather Gate, all, of course, asking for donations. And this tradition acted as a safety valve that permitted students to accept the UCs prohibition of Free Speech on the campus itself. True, there were some rather embarrassingly bizarre results, such as when the presidential candidates of 1952 and 1956 had to address campus crowds from cars parked on city streets, yet it worked. When the University grew in the late 1950s, however, the border of the campus proper moved a block south of Sather Gate. Territory that had been the scene of free political discourse for more than 50 years suddenly became subject to the prohibition against Free Speech. Yet trouble did not start immediately because “The Sather Gate Tradition,” in a modified form, moved south with the border of the campus. In the Fall of 1964, “The Sather Gate Tradition” was suddenly revoked without apparent justification. The chancellor of the Berkeley campus and his assistant determined that the new southern border of the campus where political activity had been relocated in the wake of campus expansion was, in fact, technically, UC property. Accordingly, a ban against all political expression was proclaimed. Nothing will incite resentment and reaction like the revocation of long-held rights. Changes to such rights, and changes to perceptions of such rights, are notoriously contentious and difficult to effect. The University officials, by all accounts, fumbled badly. The result was the first major student demonstration of the 1960s: Berkeley’s Free Speech Movement (FSM) was born. The Free Speech Movement, it is important to note, was in no way an exclusively “radical” or even “left wing” movement. When one looks at the photos of the students involved in the protest, it is striking that the vast majority of the men are wearing coats and ties and the women are in dresses. The Free Speech Movement appealed to a broad array of students of all political viewpoints. Among the signatories to the statement of aims of the FSM were both the California Young Republicans and the Young Californians For Goldwater! These were young adults who wanted, simply, to be able to talk about the vital issues of the day on the campus where they were preparing for their place in the larger world. That hardly seems subversive. Despite the pain and upheaval of the 1960s, the University continued to grow and to carry on its mission. The later 1970s saw a return to a more peaceful and productive campus atmosphere, though one in which political confrontation was a prominent fixture. In 1980, Cal’s Czeslaw Milosz was honored with the Nobel prize in literature, a first for a campus whose Physicists and Chemists had dominated the honors. By the 1990s, the Berkeley Campus drew more of its funding from private donations than from state support. As the University continued to grow, the Berkeley campus continued in its flagship role as it does even today. In the past two decades many advances in science and technology have originated at Berkeley. Chemistry, Physics, Biology, Geology, Paelontolgy, Economics, History, and Engineering have all seen major contributions from Berkeley scholars. Computer folks know of advancements such as BSD Unix and RAID storage. A great public university has continued to uphold its public trust. Happy Birthday to the University of California!!! It is a good thing in general to avoid doing what you couldn’t explain to your mother. This entry was posted in On This Day and tagged American colleges, Berkeley, University of California by Jamie Rawson. Bookmark the permalink.